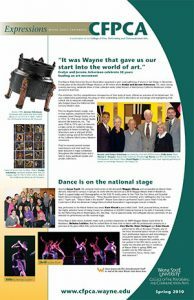 The College of Fine, Performing and Communication Arts at Wayne State University, in Detroit serves more than 2,000 students majoring in 16 undergraduate and 11 graduate programs through its various departments. 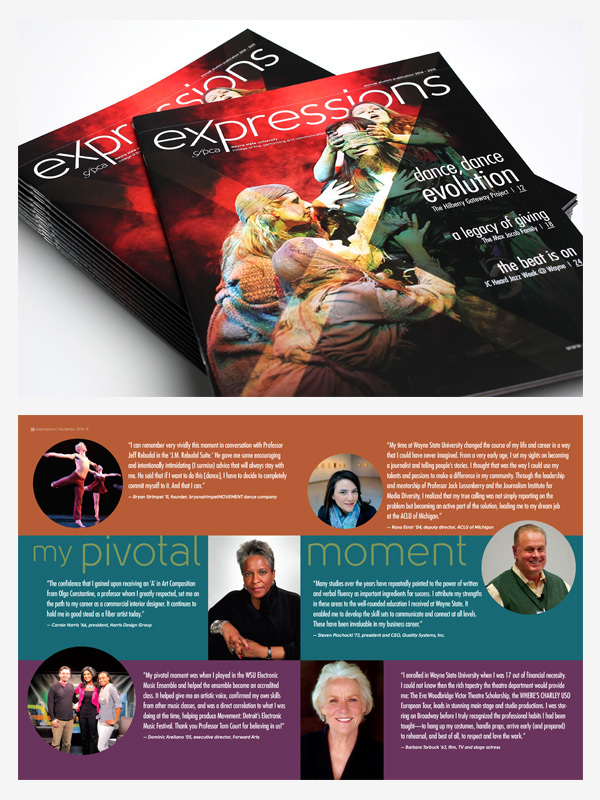 Expressions is an annual publication from the CFPCA highlighting college event and activities and is distributed to alumni, donors and other stakeholders. The CFPCA was looking to re-imagine the publication as a more engaging, dynamic, and impactful tool. The existing format was highly traditional, tabloid size, with a more conventional ‘newsletter’ style. 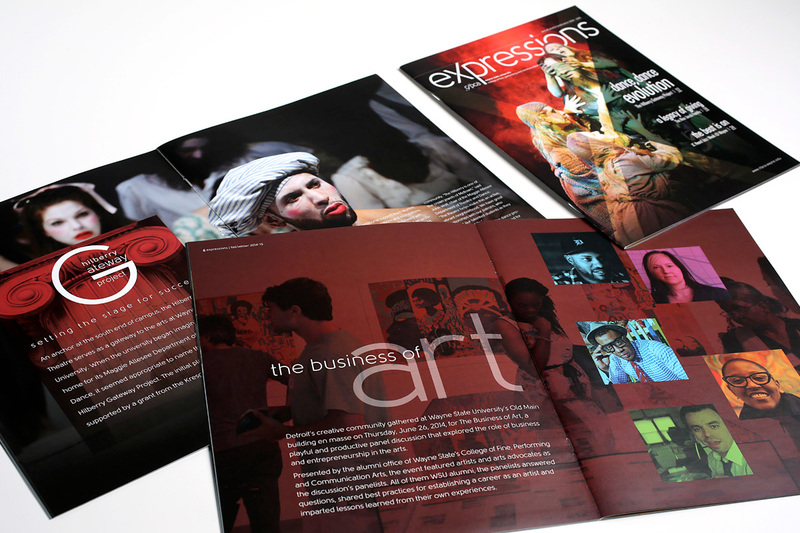 As a highly visible, broadly distributed publication, a complete redesign was needed to meet the college’s objectives. Our first step was to take the format from tabloid to business-letter size to better reflect the editorial and magazine nature of the content. We developed new layout standards and design cues, which could be extended to subsequent issues while allowing for various creative approaches to recurring sections and highlighted stories. Introducing larger images, creative design, retouching techniques, and more breathing room for the content, we completely reshaped Expressions and provided a template the college could produce internally.